It’s certainly the perfect season for spooky reads! I love to read scary books. Two of the most frightening books I’ve read this year are Broken Monsters by Lauren Beukes and Bird Box by Josh Malerman. These are Riot favorites, so we’ve written about them many, many times, so I thought I’d make a list of some other titles to terrify your amygdala. Creepy things happen during a whiteout in New England: It’s twelve years after people mysteriously disappeared during a blizzard, and now scary things are happening again, like phone calls from dead people, and more missing children. A town must pull together to overcome the seemingly supernatural events taking place. This is Golden’s best yet! Teenage Ruthie has moved into a new home with her mother and sister in Vermont. It’s a home with a troubling past, where one hundred years earlier, Sara Harrison Shea was found murdered behind her house – and missing all her skin. Then Ruthie’s mother goes missing, and a diary Ruthie finds under the floorboards just might hold the answers to both mysteries. This one will have you leaving the lights on all night. The long-lost relative of an American millionaire travels from London with his friend to claim his inheritance, which includes an enormous estate. But he arrives to find the butler has gone missing, his house is the scene of a yearly cult meeting, and there are some spooky things happening in the upstairs bathroom. Told in interviews, letters, and transcripts, this book is so much fun! A group of people who have survived unusual, unnatural incidents form a support group. (One has survived an encounter with a carving killer; one escaped a cannibal cult, etc.) Each has experienced something too crazy to be true. Slowly, they tell their stories to the only people who will understand. Because if they don’t believe each other, who will? This is probably the most brain-thrashing insanity I have read. A cult-like figure and his drugged-out teenage following murder people. A lot of people. 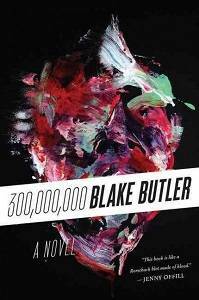 He narrates the first section of the book, describing his demented visions, and other people weigh in, including an overworked detective who has been handling the case. Who then begins to have the same horrid thoughts. This book is brilliant, the evil and chaos really a metaphor for America, and it’s also stomach-turning. I think the most frequently used word is “meat” – and not in a delicious way. I loved it! Speaking of stomach-turning – don’t eat anything you wouldn’t mind parting with later if you read this book. On top of terrifying, it is SO GROSS. A group of scouts on a camping trip on a small island encounter a stranger, who seems to be wasting away before their eyes. That’s because, well, he is, thanks to an evil parasitic host eating him from the inside. Of course, the parasite spreads, and the boys are left fighting it, and each other, for survival. Did I mention how gross it is? Jack Peter is a special boy, who is afraid to go outside since a near-drowning incident three years earlier. Instead he spends his time drawing everything he sees. But these are no ordinary drawings – his images have the ability to come to life. Which is bad news for those around him when he starts drawing scary monsters. It’s up to his parents and friend to believe the unbelievable in order to figure out how to keep the monsters at bay. 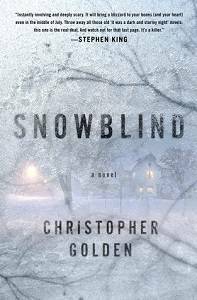 A man begins hearing voices no one else does – and then suddenly, he’s dead. His children are left with his creepy estate, but the horrors don’t die with the old man. 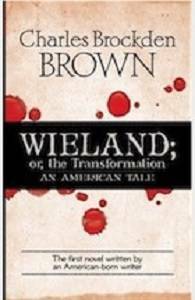 Said to be the first-ever published American Gothic novel (and the first novel written by an American-born author), Wieland is still super-creepy after two hundred years. Especially when you learn that it’s inspired by a real event. Moral of this book: Check your closets before you go to bed. These are sure to give you shivers! And for even more spooky suggestions, here are a few more recommendations. And share your favorite scary reads with us in the comments!